This dual-pack bundle of pre-printed lanyards is perfect for identifying staff and visitors alike. 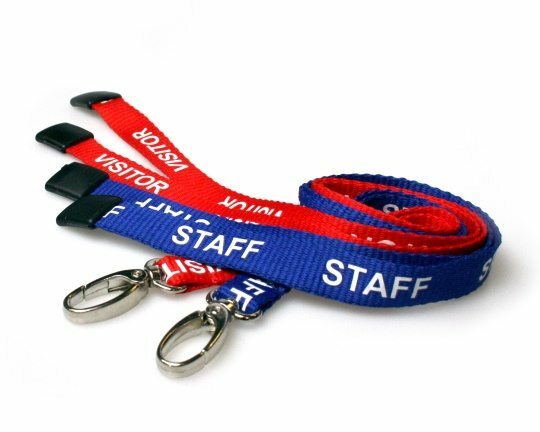 Sold as a pack of 100, this pre-printed lanyards pack includes 50 royal blue “staff” printed lanyards and 50 red “visitor” printed lanyards. The pack is a perfect solution for making sure the staff and visitors in your work premises are both identified. Both lanyards feature a metal lobster clip; the rotating clip makes it easier to use dual-sided card holders. 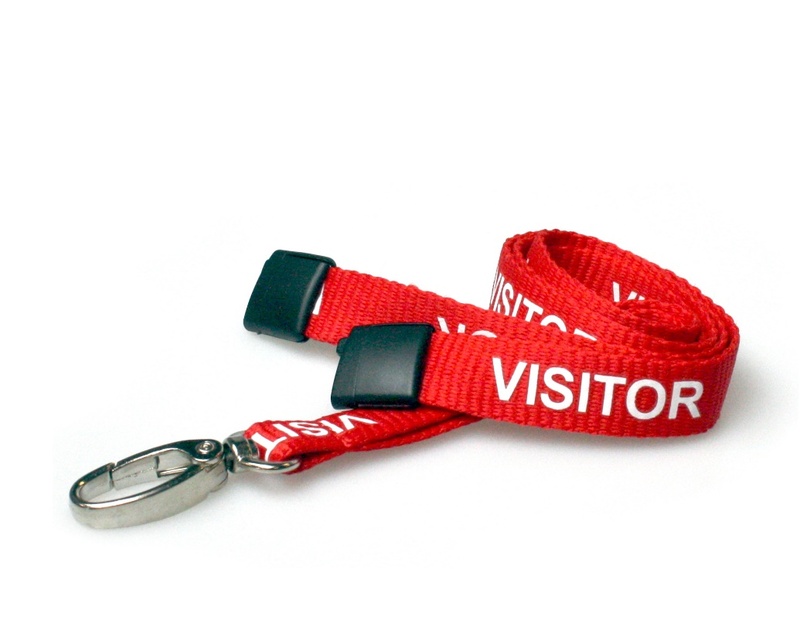 For additional safety, both lanyards feature a quick release, safety breakaway clip. We also offer bespoke custom printed lanyards . 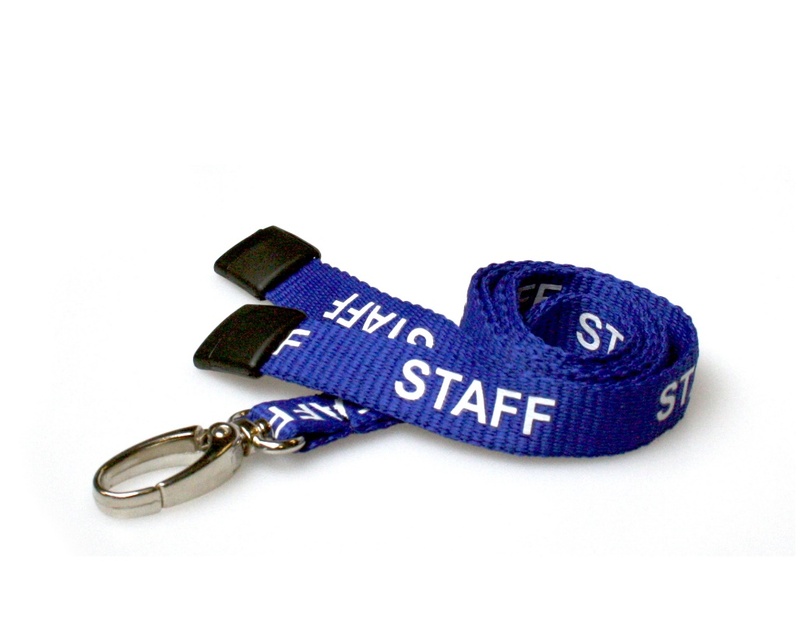 We can print lanyards with options such as company logo, name and contact details. We have various sizes ranging from 10 to 25mm and many colours available – something to suit everyone’s needs.